After being sworn in on Monday, the new chief officially starts his job on Tuesday. The first chief constable of Scotland’s single police force has started his new job. 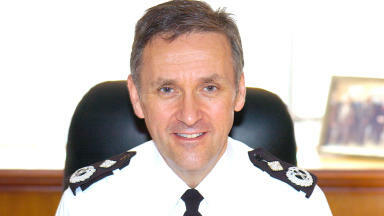 Stephen House was sworn in as Chief of the Scottish Police Force in a private ceremony on Monday. On Tuesday, he started his first day in the £208,000-a-year role at the Scottish Police College in Tulliallan, the headquarters of the new force. Speaking after the ceremony on Monday, Mr House said he was looking forward to the job. He said: "Today is a very proud day for me and I am aware of the great responsibility that comes with taking up this role. I look forward to getting to grips with the job and ensuring that the single service delivers for the people of Scotland." 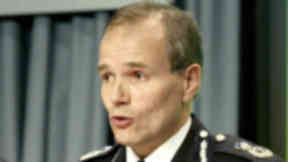 The former Strathclyde Police chief, House previously served with the Metropolitan Police in London before moving to Scotland in 2007. 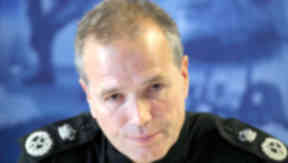 Strathclyde Police appointed an acting police chief on Monday, with deputy chief constable Campbell Corrigan taking over. The single national force comes into effect on April 1 next year.